The hilarious television sitcom Friends has re-appeared as a new wave of Funko Pop! vinyl figures! Collect classic fan favorite moments that made us fall in love with the show. This series features Chandler, Rachel, and Ross from the hilarious 80's flashback episode! Phoebe dressed as Supergirl, Monica with braids, and Joey posed wearing all of Chandler's clothing are also part of this series. Phoebe Buffay™ stands approximately 3 ¾ inches tall and is packaged inside a window display box. Recommended Minimum Age: 3 years - small parts not suitable for children under 36 months. 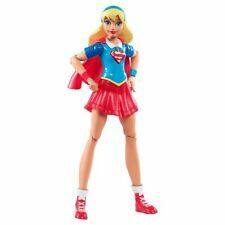 This SUPERGIRL OF KRYPTON deluxe action doll features: Red Overlay. Blue Skirt. Collect them all for Super hero and pet play dates that are out of this world! Do you miss the toys of the 70's?. We can make your collection GREAT AGAIN! We are top rated for a reason! Which of course is FRAUD and theft. We are grateful for your interest in Batcave Treasures! Superman/Batman Return of Supergirl Action Figures Series 2: SUPERGIRL Figure! Cousin of Superman, Supergirl is ready to defend citizens of Earth with classic Kryptonian strength. Wearing her iconic suit, she features authentic sculpting, and 18 powerful points of articulation for epic battle and dynamic posing. SUPERGIRL TV SERIES. I DO THE BEST ON INFORMING ABOUT ANY PRODUCT SPECIFICATIONS AND PRODUCT'S CONDITION. 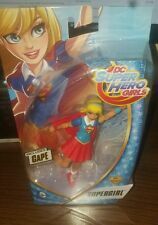 DC Super Hero Girls: SUPERGIRL 12" Action Figure! Trending at C $17.32eBay determines this price through a machine-learned model of the product's sale prices within the last 90 days. WORLD'S GREATEST HEROES. WORLD'S GREATEST HEROES! CONDITION: Nearmint-Mint (factory sealed). This is a DC. It is in excellent condition never played with. Really cute doll. She is Super Cute. 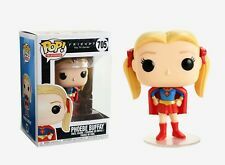 The powerful ladies of the DC Comics Universe are the debut pieces in the Rock Candy line, and the line kicks off withClassic Supergirl. ROCK CANDY CLASSIC SUPERGIRL. We are grateful for your interest in Batcave Treasures! Supergirl rests atop a rocky outcropping, ready to hurl herself at the next foe to threaten her friends, her city or her planet. Diamond Select Toys is finally entering the world of the DC Animated Universe. Ask for a total when checking out! 2010 DC Direct Blackest Night Series 8 INDIGO TRIBE THE ATOM. DC Direct Superman Batman Series 5 "Vengeance 2" Supergirl (Mint On Card) Based On Ed McGuiness Artwork And Design. Card Has Minor Shelf Wear If Any. DC SUPER HERO GIRLS. INCLUDES CAPE. Color: Define Colors, Nice Design. Back to Top. 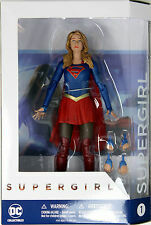 SUPERGIRL 12" DOLL. DC SUPER HERO GIRLS . All toys are subject to shelf ware. before purchasing.